Dr. Ricardo Araneda is an Associate Professor in the Department of Biology at the University of Maryland. He completed his undergraduate studies in Biochemistry at the University of Concepcion in Chile and his undergraduate thesis project at the Catholic University in Santiago. Afterward, he came to the U.S. and conduct research at St. Louis University. Ricardo received his PhD from Albert Einstein College of Medicine and served as a postdoctoral fellow and then Associate research scientist at Columbia University before joining the faculty of the University of Maryland. Ricardo is here with us today to tell us all about his journey through life and science. Ricardo has a variety of hobbies outside of science, including painting, photography, and bicycling. He also likes taking his dog out to the beach for a run. In the lab, Ricardo is dedicated to studying the sense of smell. Smells are important for communication for a lot of animals, and there is a strong link between smell and taste. He studies the cells in the brain that help us determine what we are smelling and make decisions about how to respond to it. Ricardo has a particularly inspirational story. Neither of his parents finished elementary school, and he was the first one in his family to get a college degree. His parents were supportive of his dreams and he was fascinated by chemistry as a kid. He shared his fond memories of putting flowers in alcohol to extract the colors and touring university chemistry labs with his father. Even though a career in science is full of wonderful opportunities and fascinating research, there can be long periods where you are doing very repetitive, tedious tasks. It’s easy to lose sight of your sense of excitement doing these tasks. Mentoring is very important to Ricardo. Last year his first graduate student graduated, and he was excited to see her go on in science. He was also selected this year as the Mentor of the Year at his University as well as recipient of the Undergraduate Mentor of the Year award. The Marine Biological Laboratory at Woods Hole is a beautiful place near the ocean, and people come from all over the world to participate in courses, exceptional research, and all the fun networking and social gatherings. Ricardo took the Neurobiology course there when he was in his first year of graduate school and was later invited back to teach the Neurobiology course! Ricardo spent some time working in a lab in New York City, and he had fun checking out many of the cool music venues to see one of the graduate students’ bands perform. You should always treat what you are currently working on as if it is the key piece that will get you to your goal. This experiment could be the key figure of your next paper. When things are working you have to be there putting in 100%. Ricardo’s long-term research goal is to understand the mechanisms by which neuromodulation drives the activity of neuronal networks. Specifically, his lab uses olfaction as a model system to learn how neuromodulators such as noradrenaline and acetylcholine influence sensory processing and cognition. Using several techniques, including targeted expression of optogenetic and chemogenetics tools, they precisely control the activity of neuromodulatory neurons that regulate activity in olfactory circuits. 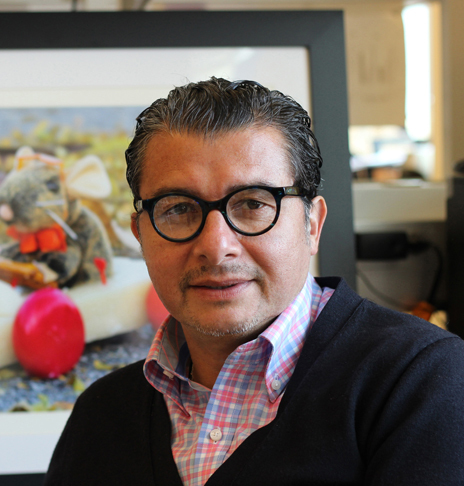 One of Ricardo’s aims is to determine how these neuromodulators influence odor-guided behaviors. Interestingly, olfactory circuits are exceptionally plastic, in that they are among the few neural circuits known to replenish cells with adult born neurons in the brain. This gives their lab the unique opportunity to study the way neuromodulators can influence the ability of adult-born neurons to join pre-existing circuits.